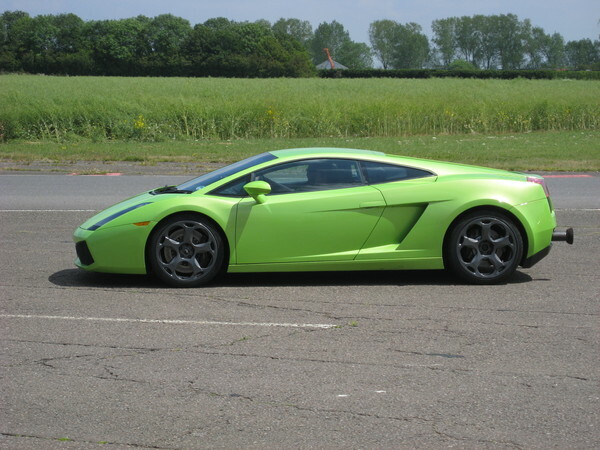 Jo bought me a voucher last Christmas to spend some time on a race track, driving an Aston Martin and a Lamborghini. Finally we got around to using it last week. Jo is just as much a petrol-head as me, so I surprised her by buying the same experience voucher for her - call it a wedding present. Good call - she didn't stop grinning all day, even on the long drive home! The nice folks doing the official photos at the track also took some extra photos of us sitting in another supercar - an Audi R8 V10 convertible. We've got those photos coming on CD in the post, and I'll post one when they land.